GN solids control equipment is mainly used for oil & gas drilling application. Our equipment effectively removes the solids from drilling fluids and maintains the mud properties. Recently, we have completed 3 sets of completed solids control equipment for European oil & gas drilling industry including conventional shale shaker, mud cleaner, decanter centrifuge, mud agitators, mud guns and centrifugal pump etc. 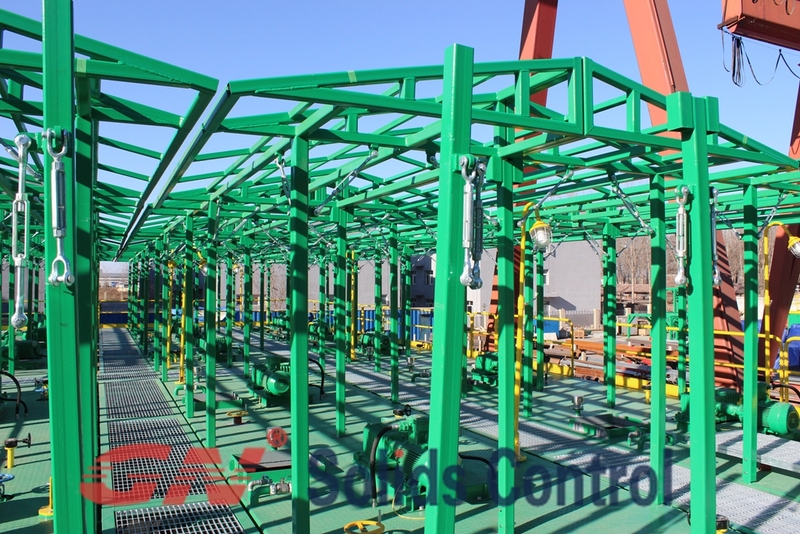 This solids control system is matching with 100HP drilling rig. Why Choose GN Solids Control system? 1. In solids removal, shale shaker is an economical option with minimal maintenance requirements and simple design. GN’s shaker employs a linear motion technique resulting in longer screen life and solids discards. 2. GN provides mud cleaners in low profile and standard arrangements. Each unit comes with 10” desander and 4” desilter hydrocyclones, and GN mud cleaner maximum reduced solid waste and increased drilling fluid recovery. 4. Decanter centrifuge plays a vital role in the solids control system. There are two main advantages in the solids control system. Foremost, centrifuge will maintain the mud properties and remove all the fine solids. On the other hand, it will recovery the barite for reusing purpose in the active mud. 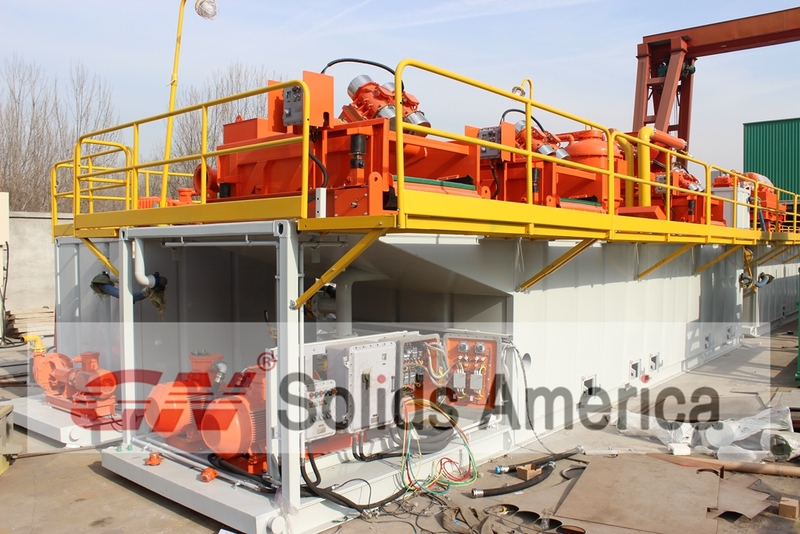 GN Solids Control is a well-known manufacture in enhanced solids control equipment including centrifuges, shale shakers, mud conditioners, drying shakers and other units. Recently, GN has built up a mud plant system for an Africa drilling company. Customer has ordered a total 7 mud tanks from us this year. Generally, those systems are used for mixing the drilling fluids and storing all the drilling fluids. But there are some difference between this mud plant and normal mud plant. A). In the large mud mixing system, we normally install the two jet mud mixers including centrifugal pumps and hoppers in the system. However, we also install a shear pump in the jet mud mixers, which plays an important role in reducing or eliminating the polymer chain. B). For lifting heavy chemical bags, we install a sliding hoist to carry and pierce all of chemical bags above the hopper. It will save much time to mix all chemicals for operators. A). Total 7 mud tanks are installed with sun shade roof to give operator a shade working place. B). Each mud tank is equipped with three mud guns and three mud agitators to suspend all the solids. C). Mud gun is rotating pattern and can cover 360 degree suspend. Mud agitators are customized by the length of mud tank. D). Skid mounted mud tank with top quality paint is with anti-rust function. In the first quarter of 2014, we have sold 17 mud tanks to COSL mud mixing project including mud gun, mud agitator and jet mud mixer etc. Except to mud mixing system, we also offer the solids control system and drilling cuttings waste management system for solids control industry. Mud mixing system plays an important role in the drilling project asa good mud mixing system will accelerate the rate of penetration, cooler the drilling bit and keep down hole pressure. 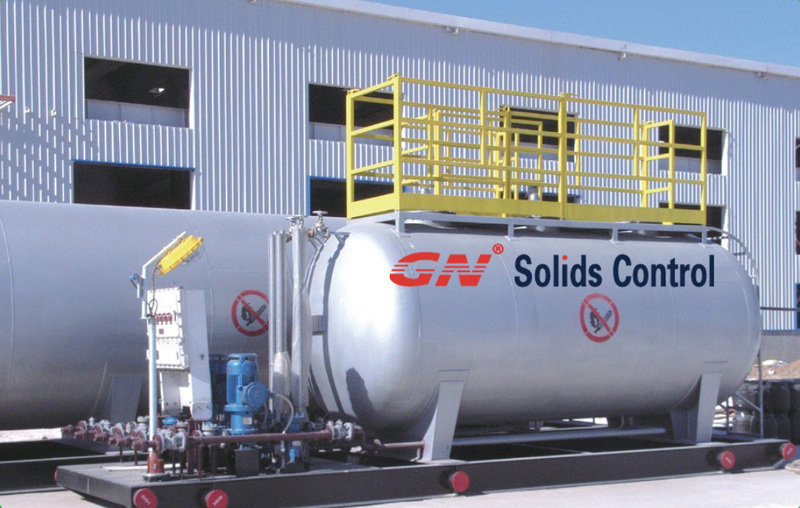 GN solids control is capable of customizing a variety of capacity of mud tank to meet with customer’s expectation.